Yesterday I went to Shanklin, which occasioned a great debate in my Mind whether I should live there or at Carisbrooke. 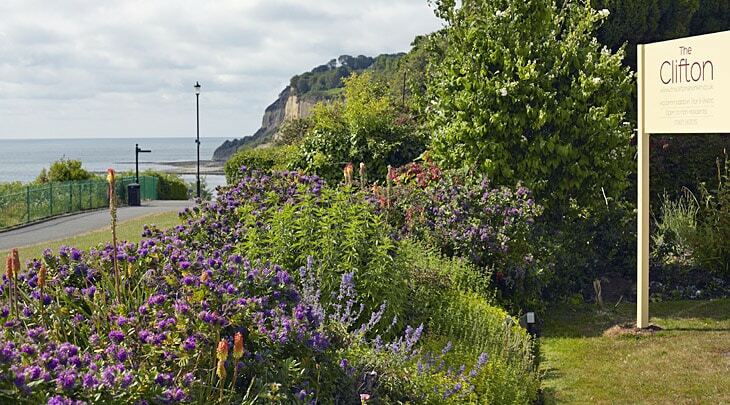 Shanklin is a most beautiful place , sloping wood and meadow ground reaches round the Chine, which is a cleft between the Cliffs of the depth of nearly 300 feet at least. This cleft is filled with trees & bushes in the narrow parts; and as it widens bedomes bare, if it were not for primroses on one side, which spread to the very verge of the Sea, and some fishermen's huts on the other, perched midway in the Ballustrades of beautiful green Hedges along their steps down to the sands. , But the sea, Jack, the sea , the little waterfall , then the white cliff , then St. Catherin's Hill , "the sheep in the meadows, the cows in the corn."